few poles and a bit of canvas. Manufactured exclusively for us, our tipi fabric has much better water repellent properties than the best off-the-shelf canvas we’ve ever found. 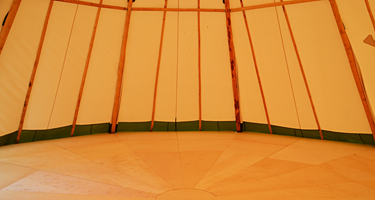 Our In-Tent VentTM ventilator cap is adjusted from inside the tipi, solving the big problem caused by external smoke cap ropes - especially on linked tipis. 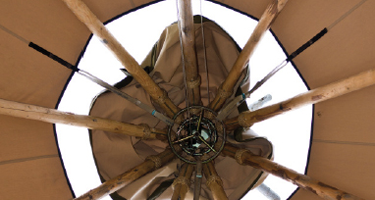 In the upper part of the tipi, 18 flaps connect the canvas to the main poles. Crucial for the structural calculations, they prevent rotation of the canvas on the frame, and perform a vital function when sides are raised. 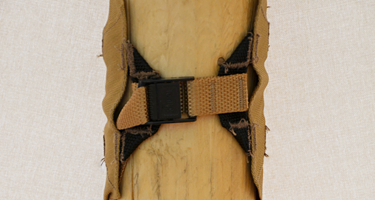 Our band pins secure the roof poles used to raise the sides of Stratus™. They ensure the poles are held tightly together and that there are no projecting parts. Stratus and Cirrus™ 72 are designed for use with 18 secondary poles. In high wind conditions you really understand the crucial role they play in maintaining stability. 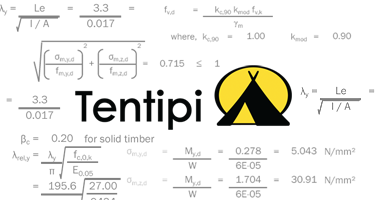 Our calculations cover every configuration of single or linked tipis, “all sides up”, “all sides down”, and “partial sides up” over 50m2. A huge body of difficult and complex work. Not all timber is equal. 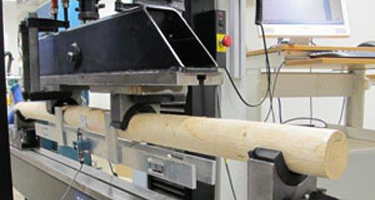 We lab-test our timber to measure its various characteristics and feed these figures into our structural calculations. 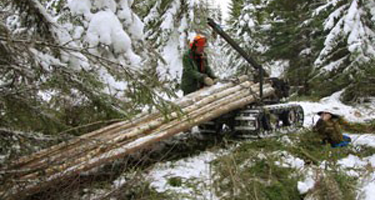 The species of timber and the location in which it is cut are vital. 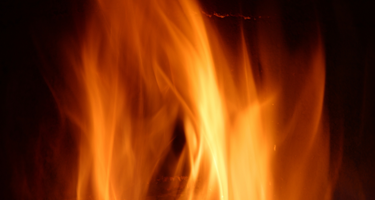 The fire retardant properties of the fabric do not degrade over time, so you won’t need to reproof or replace it to meet regulations. A label sewn to the canvas shows compliance with the relevant standard worldwide. 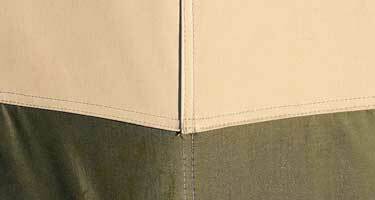 Tipi canvases are usually laced together as it is tricky to sew the last seam. But that creates a weak point and risks water coming in under difficult weather conditions. So our canvases are sewn in one piece. 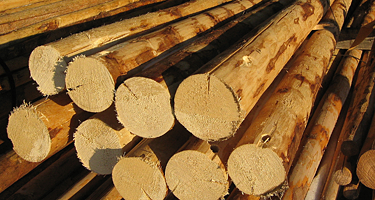 Our de-barked poles have a delightful natural look, avoiding any artificial staining or colouring common in processed timbers. 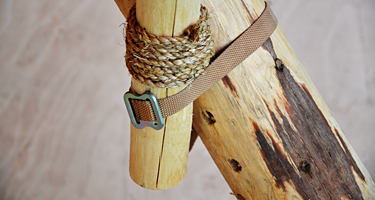 Every pole is unique, as nature intended, an intrinsic part of the character of a tipi. A specific species of Spruce, cut in sustainable forests in northern Sweden. 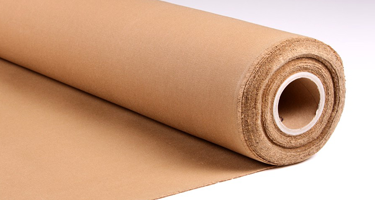 It’s immensely strong and flexible and doesn’t need unpleasant chemical preservatives to prevent rot. Stakes cast in a single piece ensure the head can’t fall off. 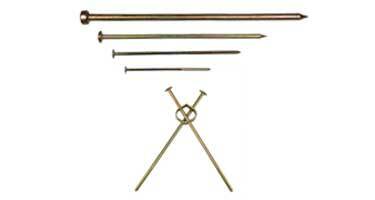 Ground anchors provide around 6 times the holding power of a single vertical stake.